The first high-return investment you should make in your home is to correct any major problems. If your home has serious issues, such as a broken air conditioner or a pipe leak, fixing those issues should be priority No. 1. Repairing or replacing the roof and siding can be a great investment, as potential buyers will generally factor in both the time and cost of having to fix it themselves. Problems like these are always easier to fix when they’re small than later, after having put them off. Replacing garage doors is one of the best improvements for the exterior. If your garage door looks new, your house will look new as well. Painting the outside of your home is another good investment in the exterior. If you don’t want to take the time and money to fully repaint your home, pressure-washing can be a quick way to make the outside of your home look much more presentable. Replacing windows is another way to make the outside of your home look better, as well as improve the home’s energy efficiency. Like the garage door, the front door is important in making a good first impression on a potential buyer. Replacing a wooden front door with a steel door can also make your home safer, and increasing the safety of your home can be another great selling point. Fixes and additions to the inside of your home can be a great financial investment. A fresh coat of paint to the interior can add value by making the home look newer, cleaner and brighter. Improving your home’s bathroom(s), particularly visible elements such as vanities, lighting, countertops, toilets and tubs, can create a high return. You may obtain a better return on investment by making improvements to the main features, instead of completely gutting the bathroom. 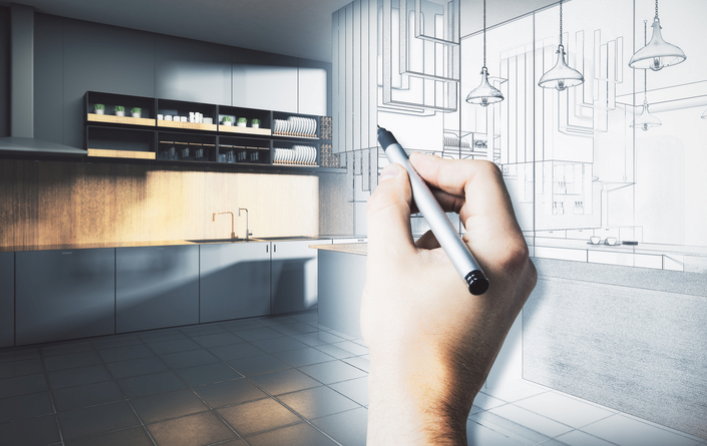 Kitchen remodels can be another way to significantly improve the value of your home, by improving functional items such as cabinets, drawers, pantry doors and appliances. Appliances such as refrigerators don’t have to be completely new, but they should keep up with current trends. Overall, you should research the investment potential of your home before making any purchases. If you are trying to increase the resale value of your home, you need to make sure your fixes or additions will increase the value of the home not only for you, but also to potential buyers. Adapted from an article on RISMedia’s Housecall blog.